This article, one of a series of interviews with this year’s City Council candidates, was originally published by the Richmond Pulse on October 18, 2016. Nat Bates is the longest-serving member on the Richmond City Council and a former two-time mayor of Richmond. The Richmond native and former probation officer sat down with Richmond Pulse to discuss his opposition to rent control and his vision for a more business-friendly city. Why are you running for City Council again? Well, we still have a lot to do. You know, Richmond continues to be the jewel of the Bay Area. We have 32 miles of shoreline. 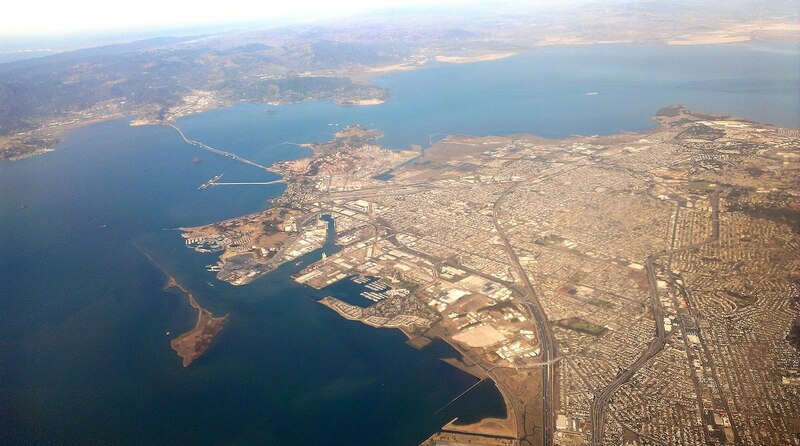 We have probably more undeveloped property than any city in the Bay Area. We have Point Molate. We tried to do a casino there and there was opposition. But some development should occur there that meets the needs of the total community, with employment opportunities and economic development. That’s been my profile much of my career as an elected official in Richmond – economic development which provides revenue to the city and jobs for our young people. Of the candidates running, I have more experience than all of them combined. The doctor gave me a clean bill of health and I’m energized and I still have a great degree of passion for this city. What experience do you have for the position? Well, we’ll say I’ve been 35 years fighting for the citizens of Richmond. I’m a go-getter. I’ve got contacts with probably more elected officials than anybody in the history of the city. As a city, you can’t accomplish things alone. You have to have political clout. A large portion of our money comes from the federal government for special programs, whether it’s police or youth activities or crime prevention. And you need contacts with these individuals. We have individuals that want to put money in programs the county should be providing. They want to put money into the school district. That’s not our job. The school has their own budget. They have their own revenue from the state and taxes. The most important is the budget. Running the city is no different than running your household or a corporation or the church. You cannot spend money you don’t have. And our responsibility is to provide a balanced budget every year and stop overspending and then having to cut programs or lay off staff to balance a budget. The second is obviously revenue. We should be getting our butts out there and hustling and bringing in as many businesses as we can. We need a climate in the city that welcomes businesses. And, more important, retains businesses we have. We just got the Point Pinole bringing in Amazon. That’s gonna be several thousand jobs, which is so important to any community like Richmond that has unemployment and stagnation, especially among our young blacks. You take a look around Oakland, San Francisco, Berkeley and you see buildings going up all over the place. Some are residential and some are business but all of them pay taxes. We need that kind of energetic activity in Richmond. And as long as we’ve got that RPA who are anti-business — they hate Chevron, which is the largest taxpayer we have in the city. Can you imagine what would happen if Chevron all of a sudden says, ‘I’m out of here’? You can’t keep kicking around businesses like the RPA does, particularly Chevron, and expect other businesses to come in. Sometimes we’re our own worst enemy. You need people on that council that are pro-business, respectful of the business community, including Chevron, Point Pinole Business Park, Target, Costco, Pacific East Mall. Those people want to put in the big bucks for the city and they’re creating jobs. What’s your view on the proposed rent control ordinance? I’m opposed to the rent control. It hasn’t worked in any community we’re aware of. People don’t understand the Costa-Hawkins [Rental Housing Act] mandates there be no rent control on properties constructed after February 1995. Which means the only rent control measures are going to be properties constructed prior to 1995, which represent about 25 percent of properties in Richmond. That measure creates a new rent control board independent of the City Council, and the cost of the operation and oversight is going to be borne by landlords. There’s no way 25 percent of landlords are going to be able to pay for this new bureaucracy SEIU 1021 and RPA are proposing. Which means the additional funding will have to come from the general fund. There’s an attitude that these units in Richmond are owned by Wall Street. That’s not true. The majority are owned by everyday senior citizens and these units supplement their income. They’re not the big, rich fat cats that some want to project [them] as being. You create a positive attitude. You reach out to the business community. You bend over backwards to speed up their permitting process. Because to a business, time is M-O-N-E-Y. And if you’ve gotta take years to get your project approved, we’re wasting their time. There’s too much negativity and a lot of it is coming from people within the community. We can’t get a major supermarket in Richmond because of the negativity, the crime, the attitude of some people and this RPA, which is just running businesses pretty much out of Richmond. Richmond in 10 years is not going be the Richmond we’ve known. We’ve got gentrification. We have young families moving to Vallejo, Fairfield, Antioch, because they don’t want to go to funerals for their kids. Unfortunately, the educational system in Richmond is not as good as it should be. That’s another reason people are leaving, African Americans in particular. Finally, we have African Americans who migrated like my parents did from the South. They’re in retirement age. They’re liquidating their property. And what’re they doing? They’re going back to Louisiana, Mississippi, Alabama, Texas. In 10 years, I question if there will be any African Americans on the Richmond City Council just because of the demographics. Latinos will dominate, in my opinion, Richmond, San Pablo and North Richmond. So that’s what I see in 10 years, a completely different demographic community. And yet rent in Oakland has doubled in the last 2 years in spite of rent control, how surprising. Measure L is an emotional reaction to rising rents, not a rational one. But go ahead and vote for it, it’s your money. It will be the landlords’ money!! That’s part of the beauty of it.What has happened here without rent control? Once again , no other solution offered . The same old saw Plenty of land, plenty of renters, a city ready and willing to go. A financial system that just does not lend itself to producing housing medical care,education, transportation or, a functioning democracy , but continues to reward itself with huge sums. It will be the renters money rithchie, that’s what has happened everywhere rent control is applied. That is the fact, not an opinion. The very people running the Section 8 program in Berkeley will tell you finding Section 8 housing in Berkeley is nearly impossible, that is a fact not an opinion. Richmonds Tim Jones has publicly stated that he is hearing from a lot of Section 8 participants that they want out because of Measure L, that is a fact not an opinion. They’re simply your opinions, and the facts simply do not support them. Looks like Measure L will pass, but as I say, because it is an emotional reaction by voters, not a rational one. But the substantial costs of rent control will surely be paid for by renters just like in Berkeley Oakland and San Francisco. There is simply no reason to believe otherwise.